Today, as I wandered a field bordering woodland near Berkeley Springs, West Virginia, I encountered a rare creature and a commoner. The rarity was a fox sparrow, by no means an endangered species, but one of those birds that most people who share its geographic range will go through life with no clue to its existence. As a bird watcher for over 30 years, I had encountered fox sparrows on just four prior occasions. Through the naked eye, a fox sparrow wouldn’t merit a second glance. A small brown bird flitting furtively in the brush, they are what some might dismiss colloquially as an LBJ. Through binoculars, “little brown job” resolves into a strikingly handsome creature: eyes ringed with white, arrow-head spots corn-rowed down a snow-white breast and converging into a central spot, and a robust, bi-colored beak. 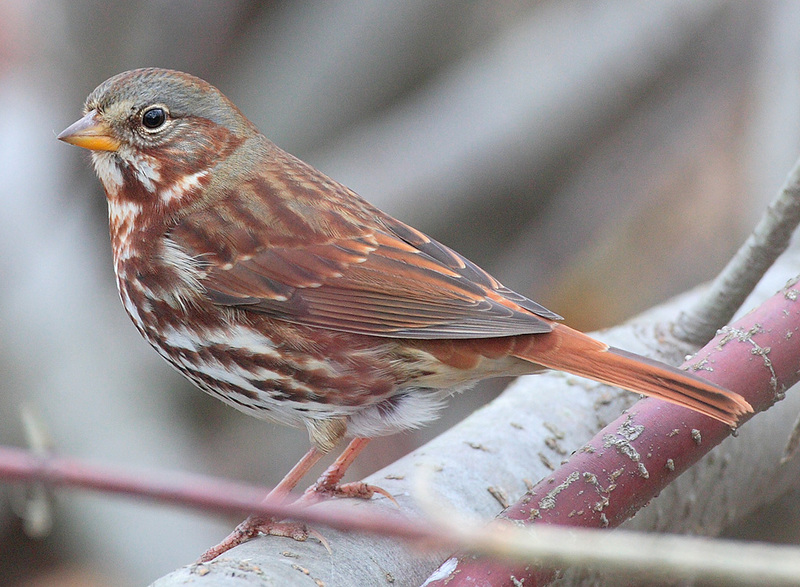 For me, a fox sparrow sighting instantly transforms even the most ordinary nature foray into a memorable event. The commoner, by contrast, was a cricket. A gravid female in her prime, she measured almost an inch, not counting her ovipositor of nearly the same length. She startled as I stepped across a patch of clover-strewn earth. Insects fascinate me as much as birds, and I sat down to watch. She behaved as any wise one should in the face of potential danger, remaining stock still for at least three minutes. I stayed equally inert, until a wave of her antennae signaled that she was about to resume her activities. Then, this mundane insect, this shiny black creature whose kind I had seen on countless occasions, transformed before my eyes into a rarity. Inspecting a small patch of bare earth, she crawled forward slightly, pushed her abdomen upward, redirected her egg-tube downward and, with visible effort, tried to pierce the substrate. Unable to penetrate, she gave up and crawled to a new spot to try again. Over the next ten minutes, I watched her make a dozen or more attempts to force eggs into the earth. She appeared successful on one or two tries. Between efforts, she paused to nibble at some clover. I once watched a locust thrusting a sickle-shaped ovipositor repeatedly at the soil, but had not witnessed similar behavior in a cricket. It was a glimpse at a private moment, and a rarity every bit as significant as the sparrow. Hours later, as I sit in the glow of a wood-fire, I realize that rarity, like beauty, springs not from the prejudice of mere numbers, but from the heart.